Make sure the black tab on the right says 2018 Regular Season. 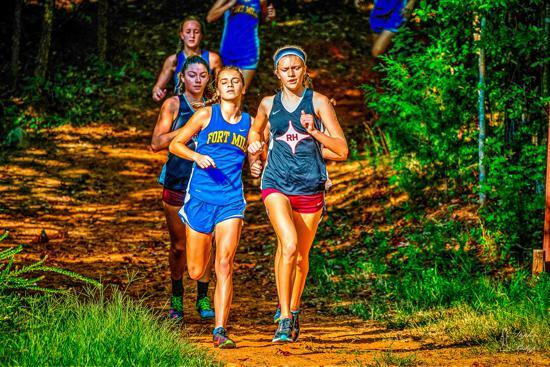 120 FMHS Cross Country athletes traveled to Northwestern HS to compete in the Region meet on Oct 18th. We came out with a clean sweep!!! Girls And boys JV won with perfect scores. We had 9 all-region girls and 8 all-region boys (the top 10 athletes are recognized as all-region). Boys Varsity won with 28 points. We had five boys win all-region: Dalton Jones, Dane Dobleske, Aidan McNeill, Tommy Long, and Jake Dawson. 4 of them ran sub 17 minutes, and all top 12 of our boys were sub 18 minutes-amazing!! Girls Varsity won with 27 points. Five of our girls made all-region: Abby Dawson, Elise Barradale, Genesis Simpson, Mary Drolet, and Molly Passmore. Two girls were sub 20 minutes and all of our top 12 were sub 22 minutes. Great job to these ladies!!! Please congratulate the Cross Country athletes when you see them today. Moving forward, our top 12 girls and top 12 boys (see below) will continue to train in preparation for our state Qualifier meet which will be next Saturday, October 27th.